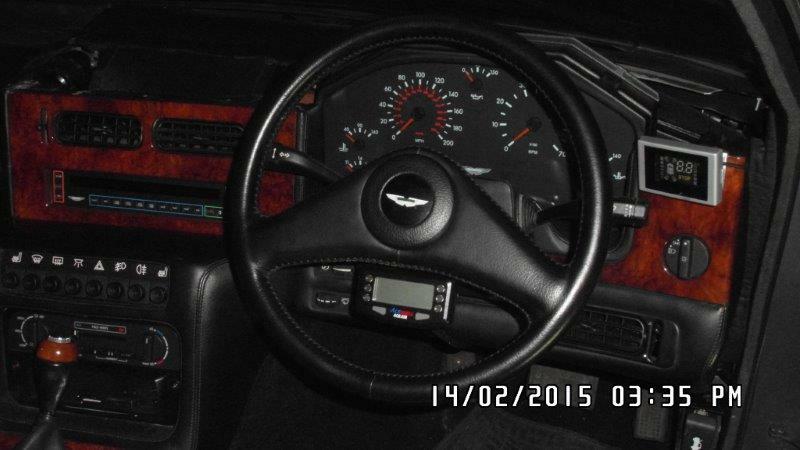 In the section on VIC problems I mentioned that G had fitted an aftermarket Speedo/Odo to our Virage. This is necessary to keep the car legal, not least because an odo reading is needed for insurance and MOT purposes. Garry fitted an Acewell speedo/odo as shown in the photos below. 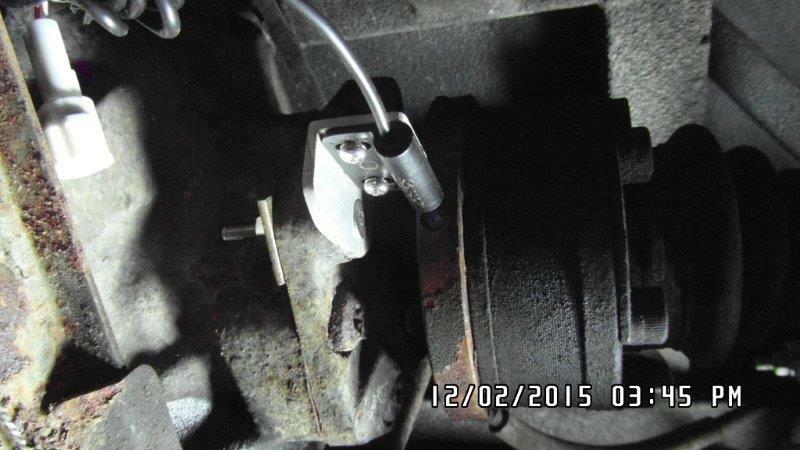 Garry located the sensor on the nearside drive shaft, as shown below. He drilled a hole in the shaft and Araldited the magnet in, then attached the sensor via an ally bracket to the flange, which already had a convenient pre-drilled hole in place. The wire was then fed through the transmission tunnel to the dashboard. Once calibrated to the wheel diameter the unit was ready to go. The existing mileage was entered in and per the legal requirements, once done cannot be changed. It’s certainly helpful to know what speed we are traveling at again, and the unit is discreet and effective for an aftermarket offering, designed for scooters!